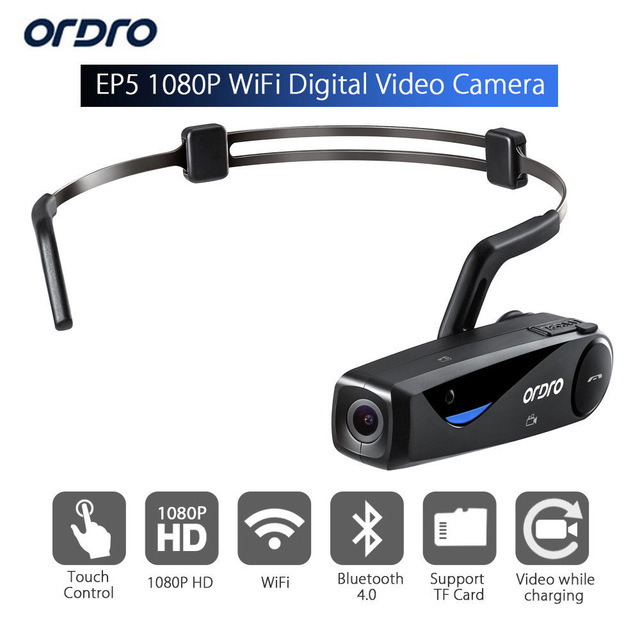 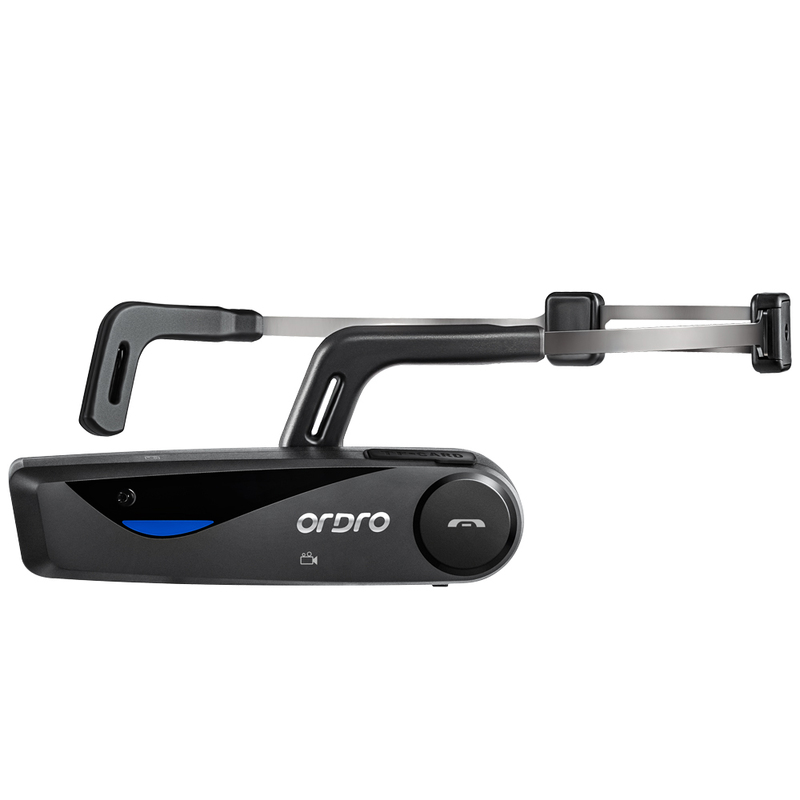 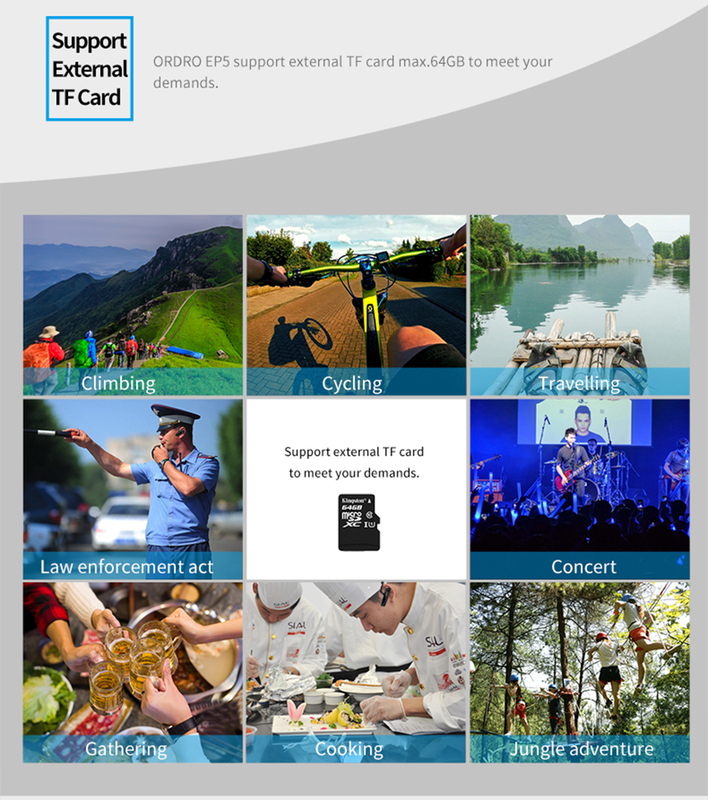 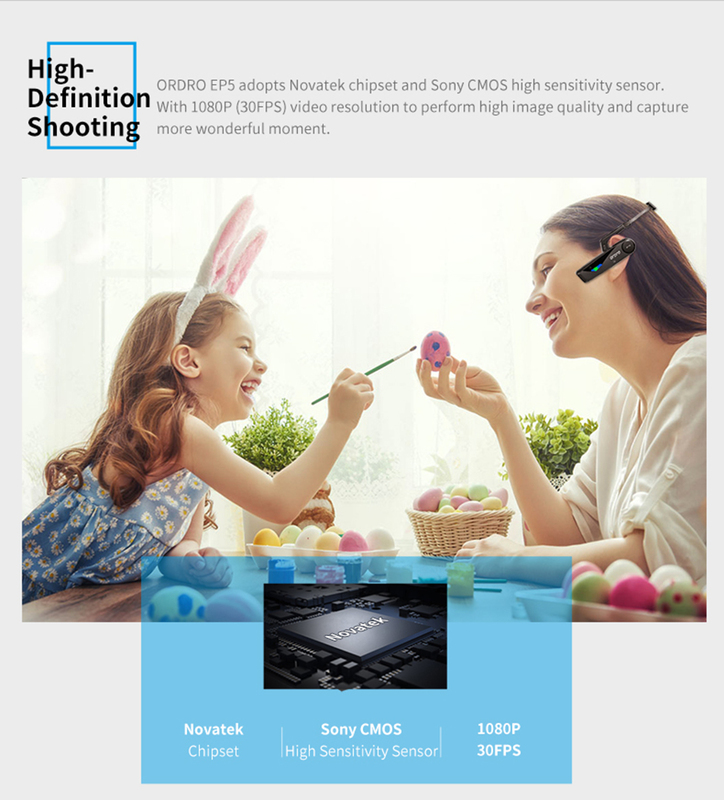 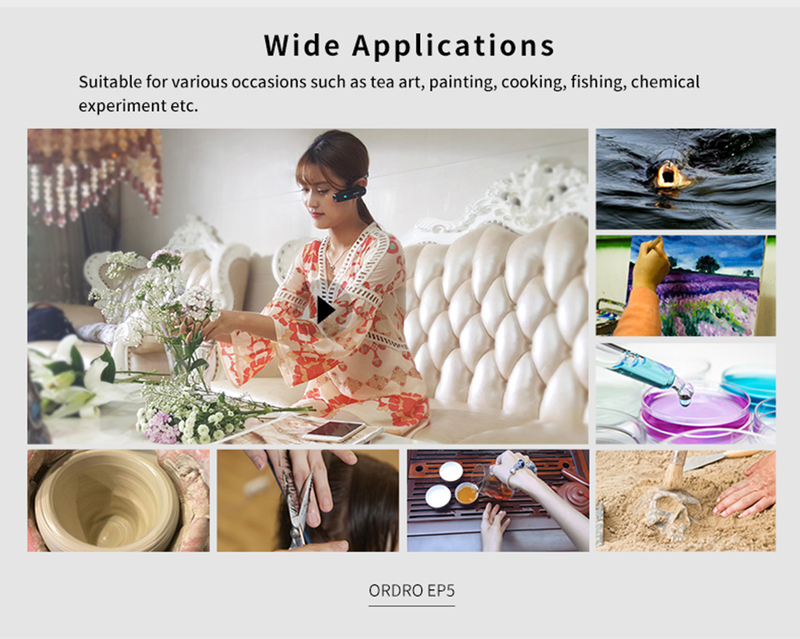 1080P FHD – ORDRO EP5 adopts 1920×1080(30FPS) full HD format. 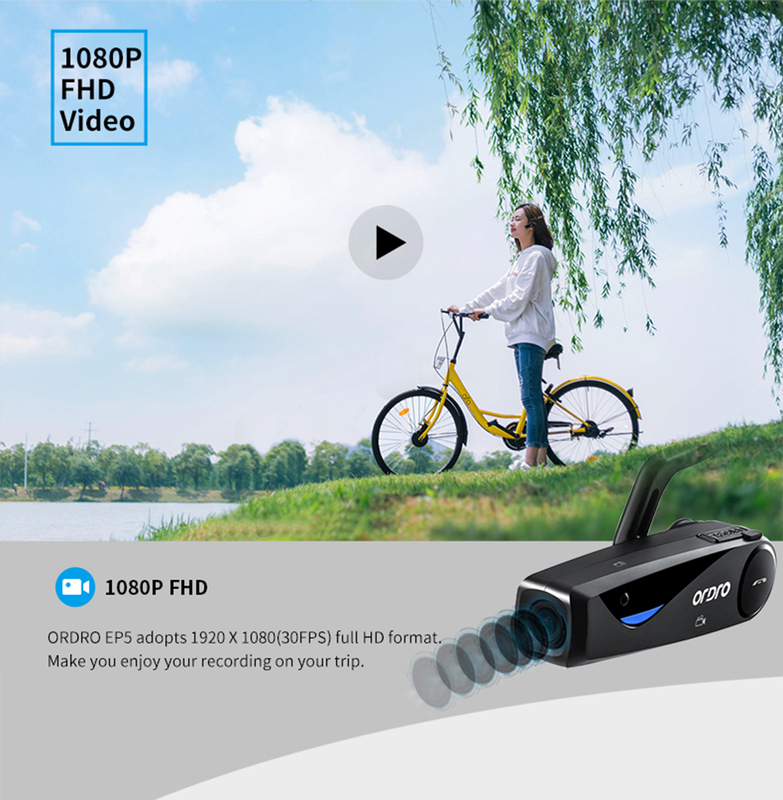 Make you enjoy your recording on the trip. 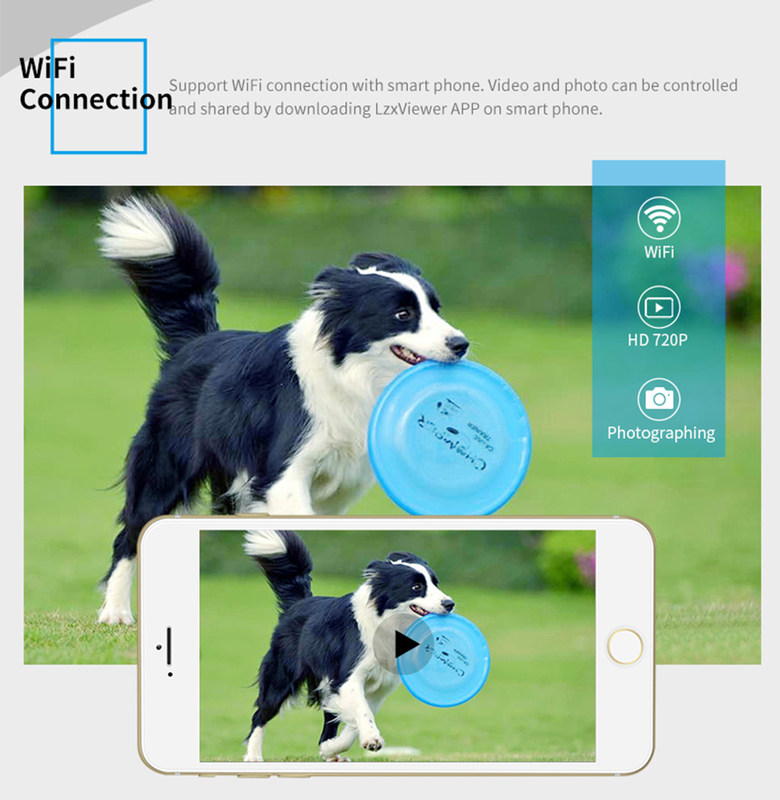 Wifi Connection – Support Wifi connection with smart phone. 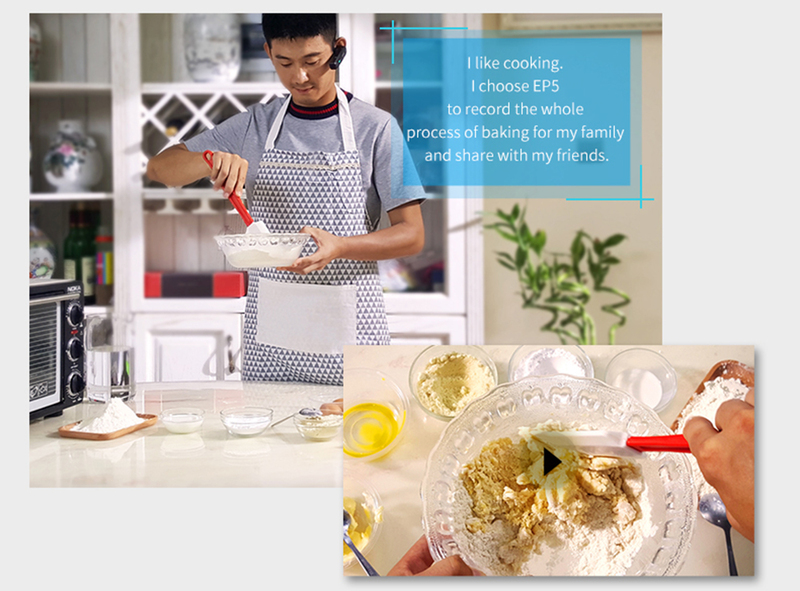 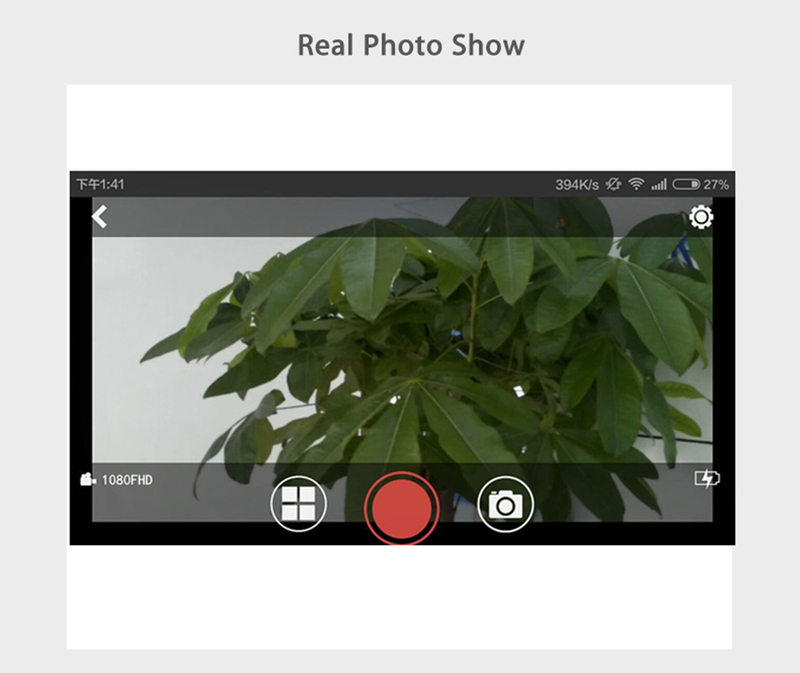 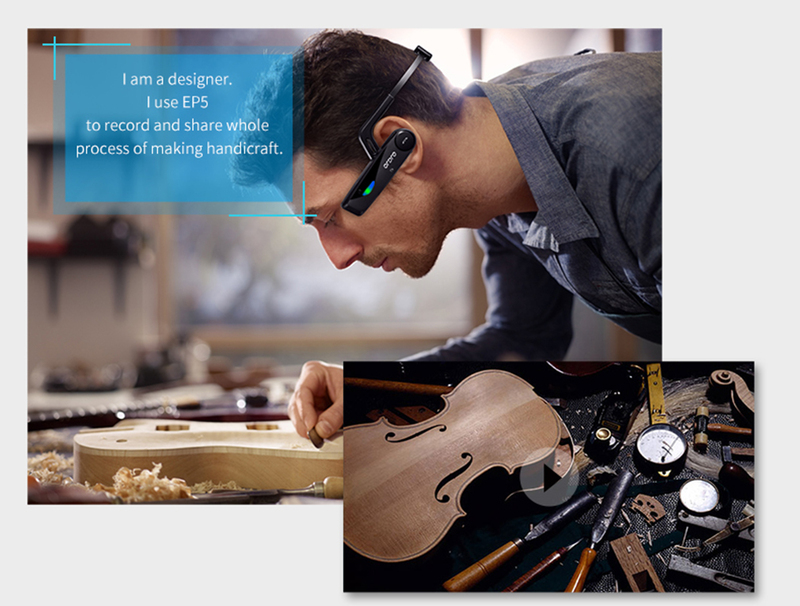 Video and photo can be controlled and shared by downloading LzxViewer APP on smart phone. 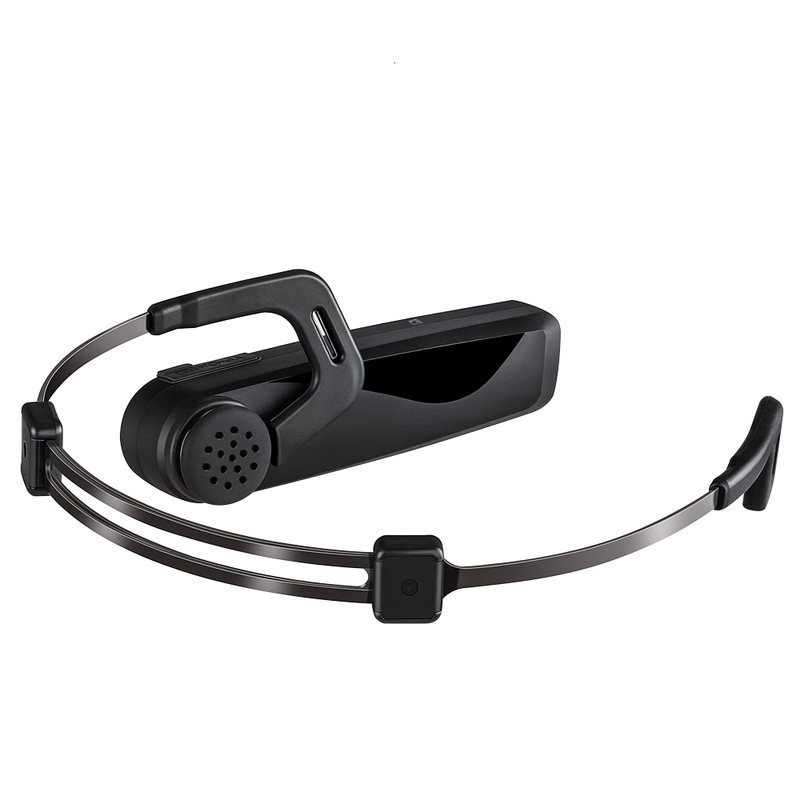 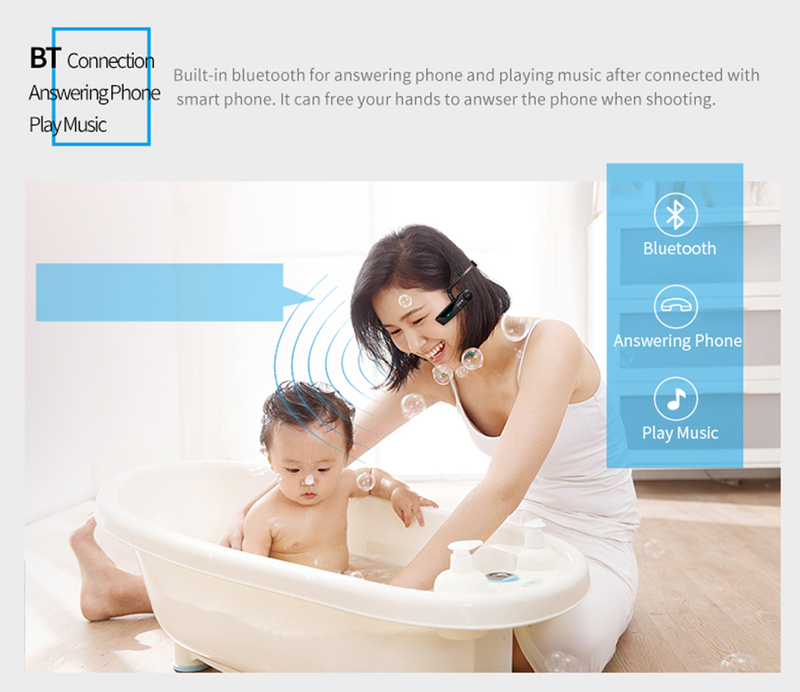 Bluetooth Connection Answering Phone Play Music- Built-in Bluetooth for answering phone and playing music after connected with smart phone. 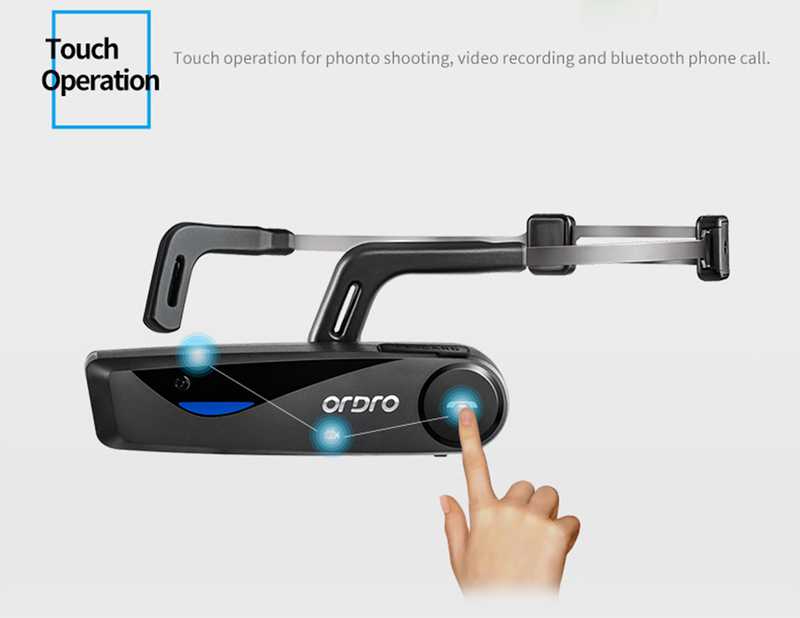 It can free your hands to answer the phone when shooting. 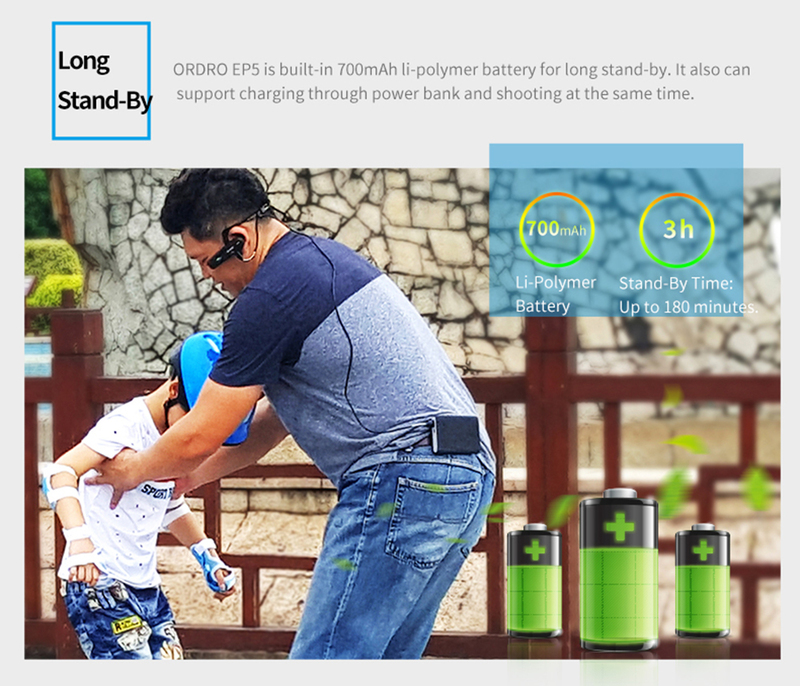 Long Stand-By- It is built-in 700mAh li-polymer battery for long stand-by. 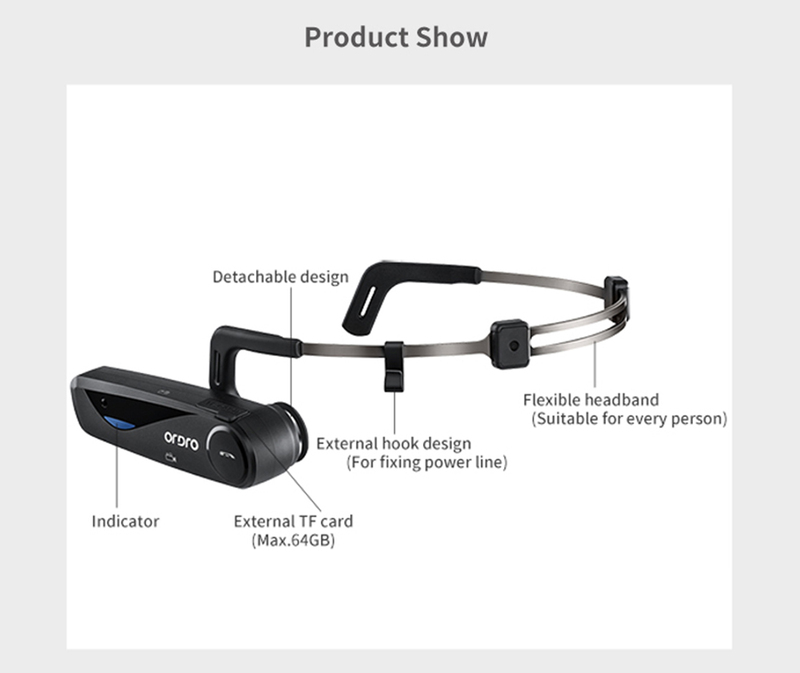 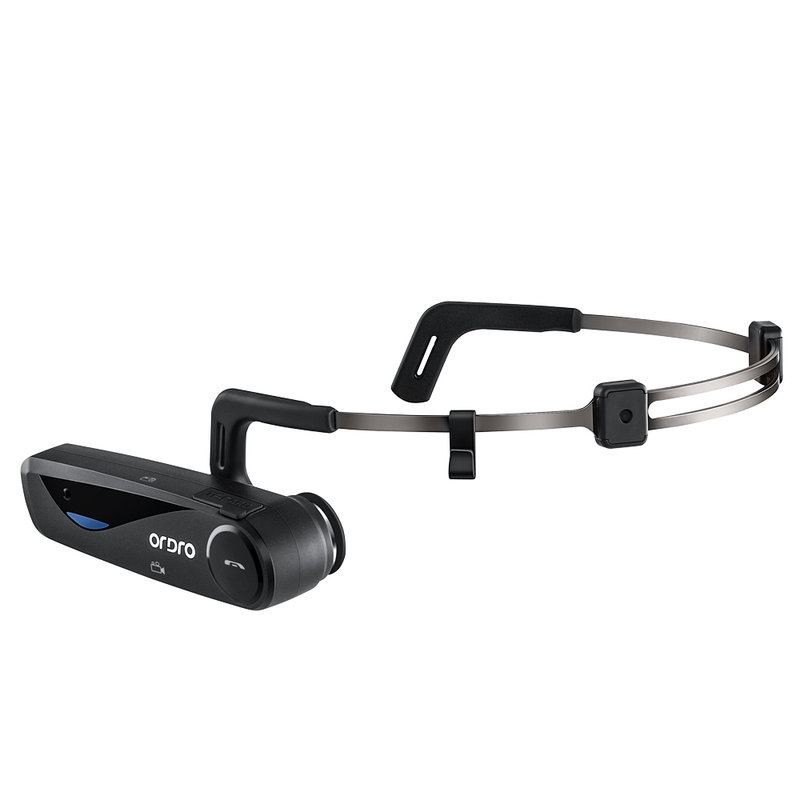 It also can support charging through power bank and shooting at the same time. 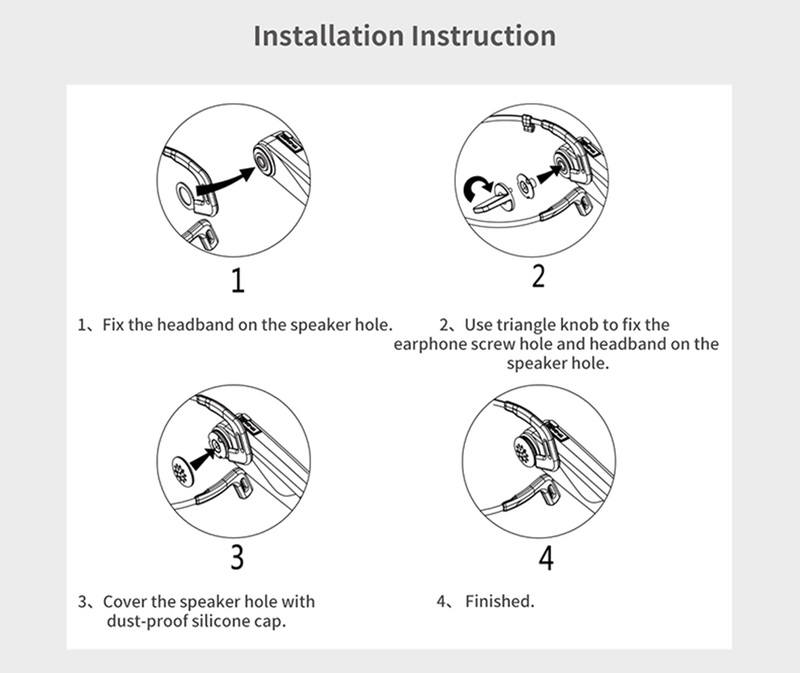 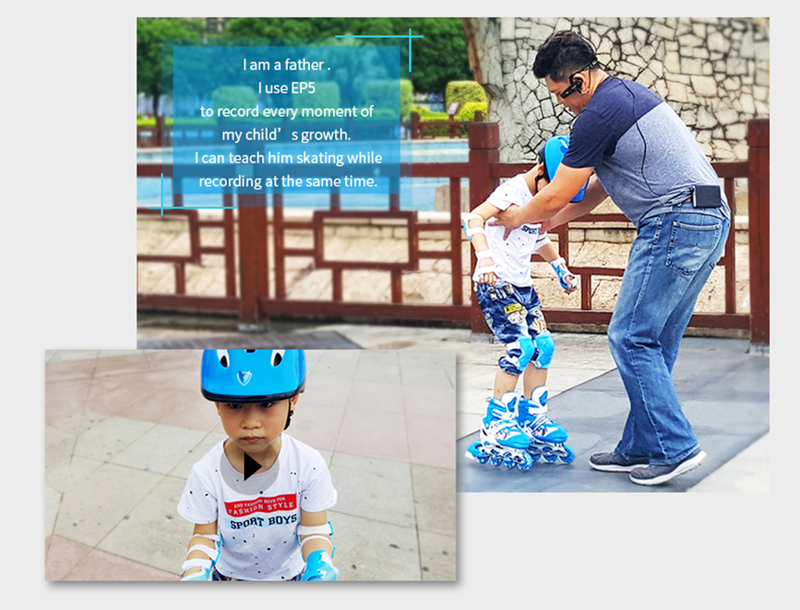 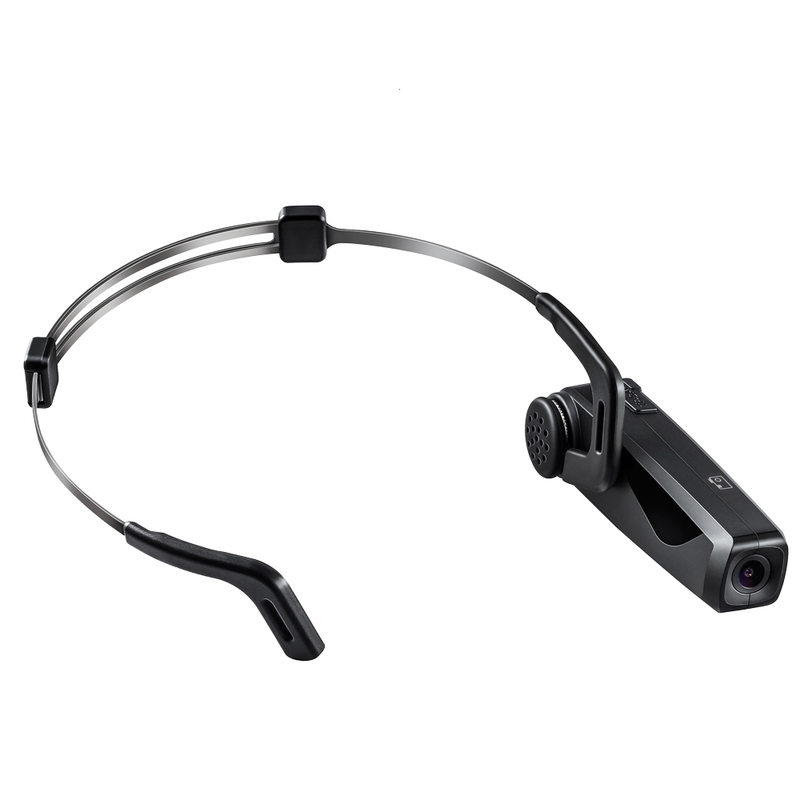 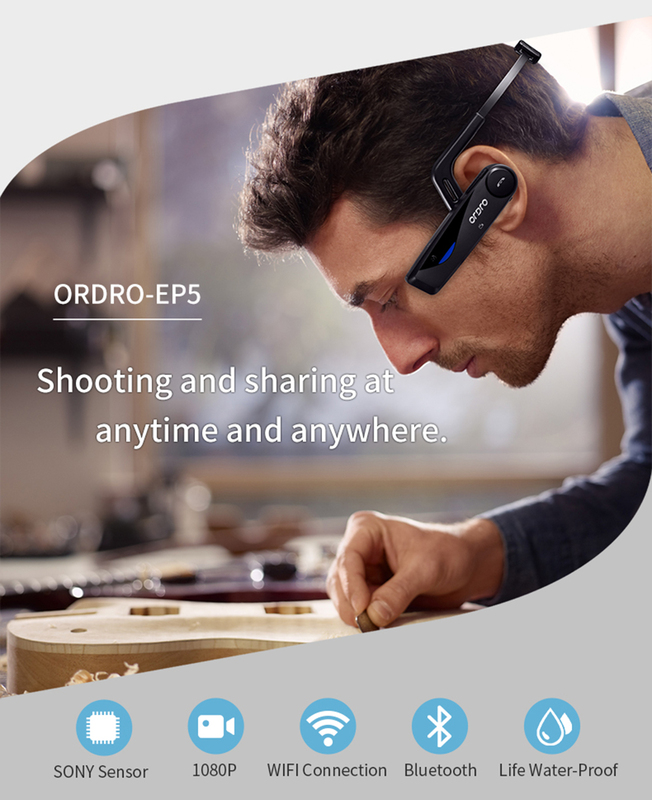 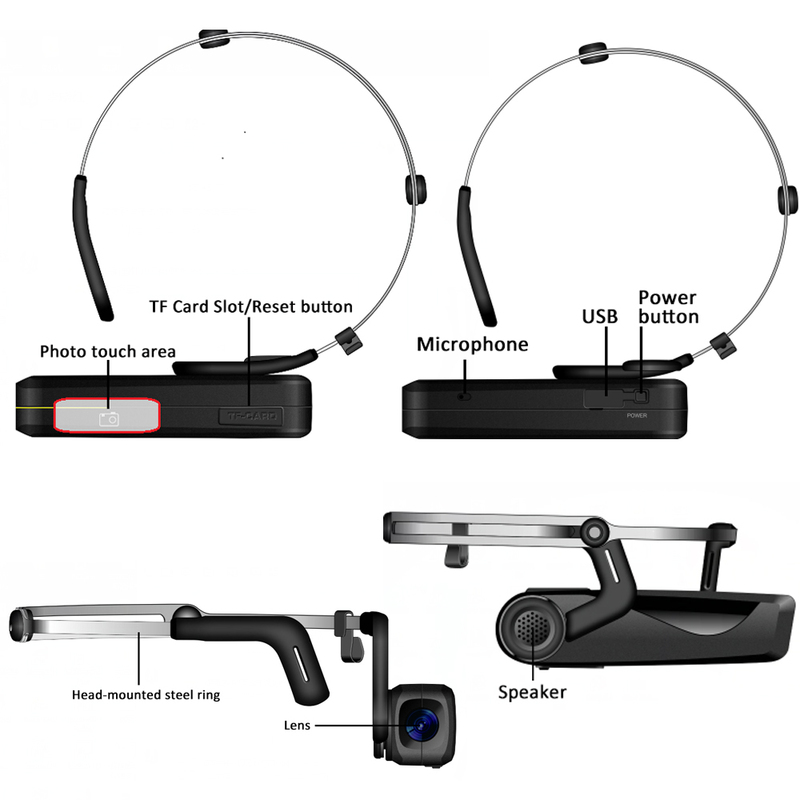 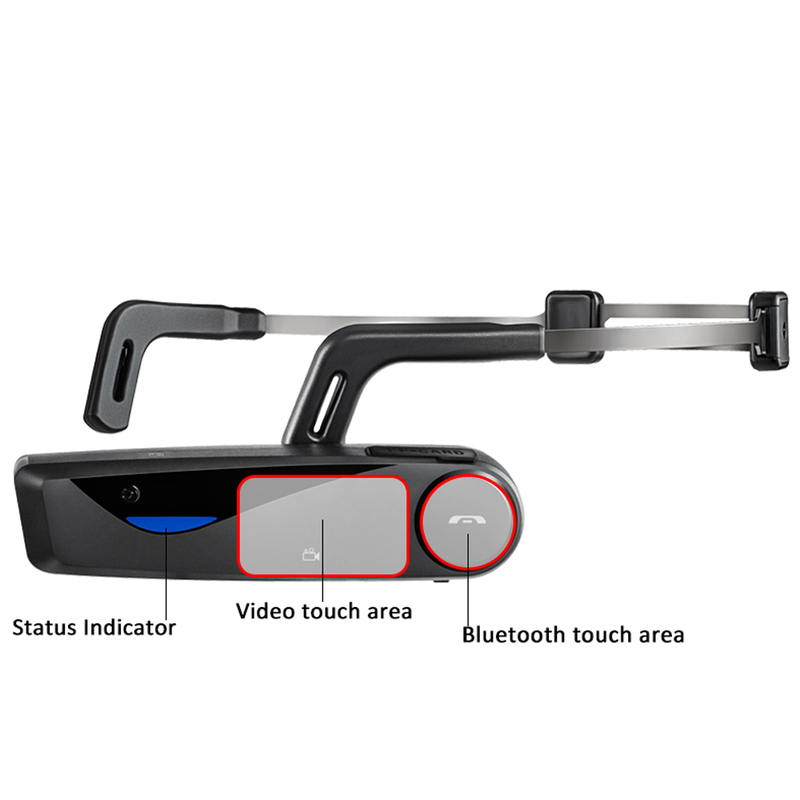 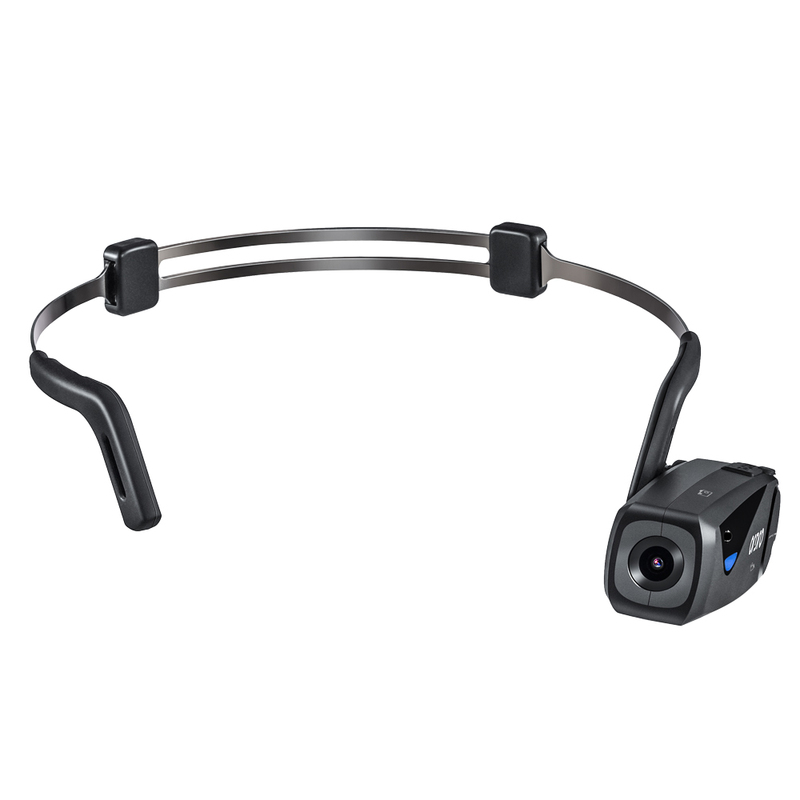 Touch Operation- Touch operation for photo shooting, video recording and Bluetooth phone call.